ATLANTA--(BUSINESS WIRE)--Jul. 13, 2016-- Staples, Inc. (NASDAQ: SPLS) and Boys & Girls Clubs of America are teaming up this summer to help prevent summer learning loss for thousands of kids and teens. 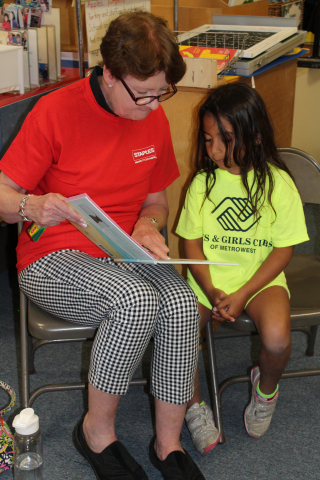 To celebrate National Summer Learning Day on July 14th, over 150 Staples volunteers in 17 communities including Boston, New York, and Denver, will participate in one-to-one or group reading sessions with local youth.